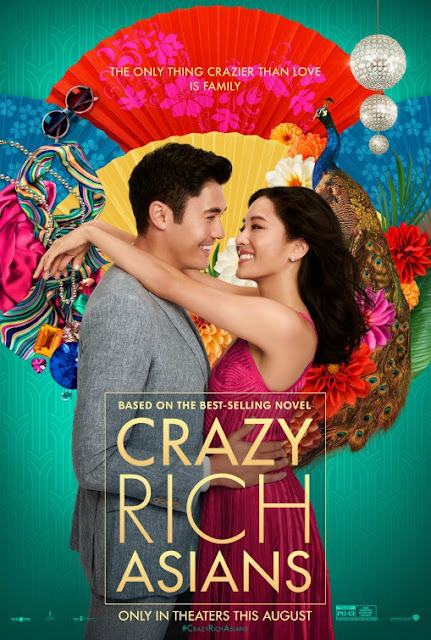 Rachel Chu (Constance Wu), a self made economics professor in New York, jets off to Singapore with her boyfriend Nick Young (Henry Golding) to attend a family wedding, unknown to the fact that he and his family are rich. Crazy rich. Rachel struggles to find her place as her welcome is shortlived, with Nick's disapproving mother (Michelle Yeoh) constantly giving her a hard time, whilst other eligible young ladies vying to take her place. With the family wedding looming, her relationship is tested and Rachel questions if she could ever fit into this world. Set up in true classic rom com style, 'Crazy Rich Asians' is purely a love story about a man and a woman from two different worlds and how they navigate this relationship as it is tested. And it is a great film at that. The only difference is that it is through the lens of a different culture. What I found most successful in the film is the joy in showcasing the culture and challenges that an Asian person might experience and making it so accessible for everyone else. In the screening I attended, a majority of people were not Asian but yet we were all laughing equally throughout the film. Although the film, based on the book by Kevin Kwan, follows a somewhat formulaic plot, it manages to tackle some deeper themes, such as "face", the responsibility to family and highlighting differences of traditional asian values vs. western asian values; all of which is wrapped up in a joyous and hilarious event of a film. It's a feast for the eyes which had me hooked at the Singaporean hawker stall scene. Also stars Gemma Chan, Lisa Lu, Awkwafina, Ken Jeong, Nico Santos and Harry Shum Jr.
'Crazy Rich Asians' is the rom com of a decade. Not only is it super funny, it deals with deeper themes and most importantly, is able to represent and showcase Asian culture to a wider audience, and from what I've seen, everyone is loving it. It's elaborate and an absolute feast for your eyes. Escape to Singapore with 'Crazy Rich Asians' and lose yourself to in one of this year's best event films. *My personal view is that all modern films should feature a more diverse cast and films with an all black cast or an all asian cast are actually not diverse at all. But in a climate where a majority of Hollywood films are predominantly "white", these films are trying to make a statement, and is understandable. I also feel that if a film is at a time/context where it is dominated by a single race, do not shove in a token minority just to tick a box. The other challenge is really to bring more diverse stories to the table. To make foreign cinema more accessible. How many films are being made in Asia that are fantastic, but just aren't reaching audiences in the West? How can we bring those to people, rather than "remaking" them? It's a difficult one but I'm very pleased CRA are a commercial success, and bring on CRA 2!